Disney tries to repeat the success of Pandora’s grilled Banshee in the new Star Wars area. 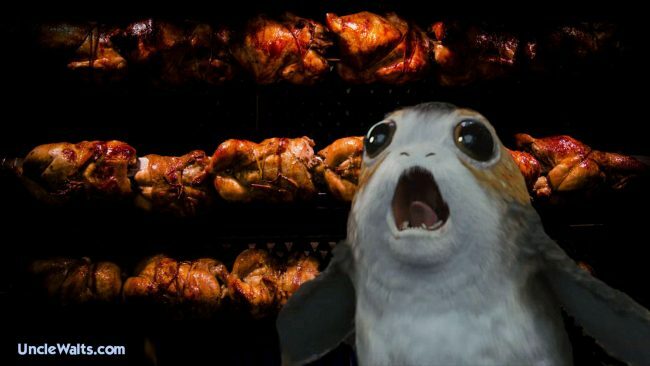 As workers at the Walt Disney World and Disneyland Resorts continue construction on Star Wars: Galaxy Edge, chefs in the Disney test kitchen are also hard at work constructing the menu that will offer out of this world delicacies. From “Aunt Beru’s Blue Milk” to “Porg on a stick” and more, Uncle Walt’s Insider was given an exclusive invitation into the kitchen to try these innovative and sustainable menu items. From Walt’s love of homemade chili to their most famous invention, the churro, Disney has a long history of developing hot new food trends, the only exception being the Corn Dog, which was invented by the Fletcher Family in Dallas, TX and served at the State Fair of Texas. It was Walt’s brother, Roy, who visited the State Fair of Texas and brought back news of this tasty treat. After years of trial and error, Disney chefs finally created their own version of the corn dog that is still used today! Having already created one alien menu in Animal Kingdom’s Pandora – The World of Avatar, Disney is on track now to take guests away to a galaxy far, far away. And a journey going that far will require tasty treats, and lots of them! Uncle Walt’s Insider recently went into the ultra secret Disney Test Kitchen to not only see, but to taste these new menu items. If you think getting into 1401 Flower Street [Ed. : The headquarters of Disney Imagineering in Glendale, California. Apparently they have a restaurant there?] is hard, try getting into the Test Kitchen! 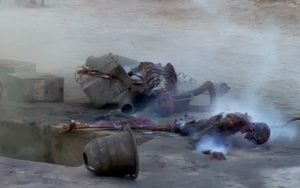 Luke’s Uncle Owen and Aunt Beru. Next Mr. Jenkins brought out the appetizer portion, the Great Pit of Carkoon, and he shared the story of this dish, “This sharable appetizer was inspired by one of the most notorious creatures, the Sarlacc! Here we have a 5 cheese fondue, coming out of the cheese, or pit, are tender octopus tentacles that represent the Sarlacc. Surrounding the pit we have couscous to represent the sand that you would encounter where the Sarlacc buried itself. It is served with garlic toast points for dipping.” After sampling, we think you’ll enjoy digesting this dish for a millennia! First we sampled the Jabba the Hut. This dessert comes in the shape of the original gangster, Jabba the Hut. It begins with an outer shell that is green in appearance, and which surprises you with its chocolate flavor. Inside we found a delightful and refreshing pineapple flavored soft serve. The second dish, Outer Rim Asteroids, is a collection of round, fried bits of dough that are dusted with a cinnamon-sugar coating. 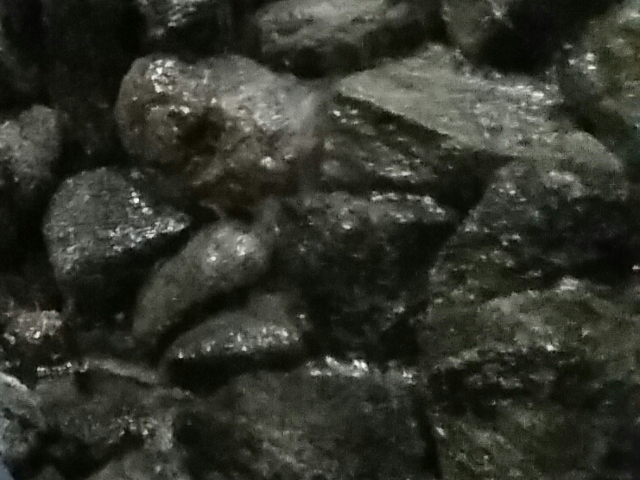 A larger “asteroid” in the middle had a gummy worm coming out of a small crater chasing after a small wafer in the shape of the Millennium Falcon. What do you think of these new food choices? Let us know in the comments below!